With the advent of technology the entire world has virtually become a small place; in this ‘Information Age’, our organization too has made a noteworthy presence on the World Wide Web. 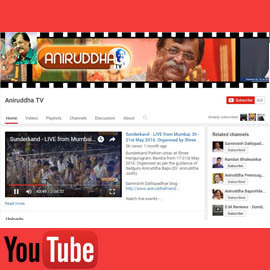 Our beloved Sadguru Aniruddha Bapu has time and again stressed on the need to get acquainted with the new technology, mobiles, tablets, gadgets etc. 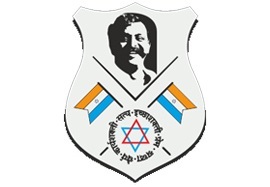 Bapu has conducted various seminars on technical topics and has mentioned about its importance during his discourses as well. 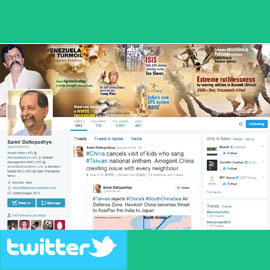 If one would also remember, Dainik Pratyaksha’s 2014 new-year issue was dedicated to social media and the subsequent new-year issue was on “Mobiles and Tablets”. Knowing the significance and spread of the electronic medium, we maintain our web-presence through several websites, blogs, Facebook accounts, Youtube channels, Twitter and Instagram handles to name a few. This month’s issue of the Newsletter provides an overview of the web presence of our organization. For those who are familiar with the internet, these websites and other means would make most of the information readily available at one’s disposal. 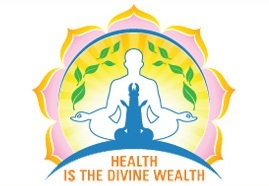 An official website on information about Sadguru Shree Aniruddha Bapu (Dr. Aniruddha D. Joshi). 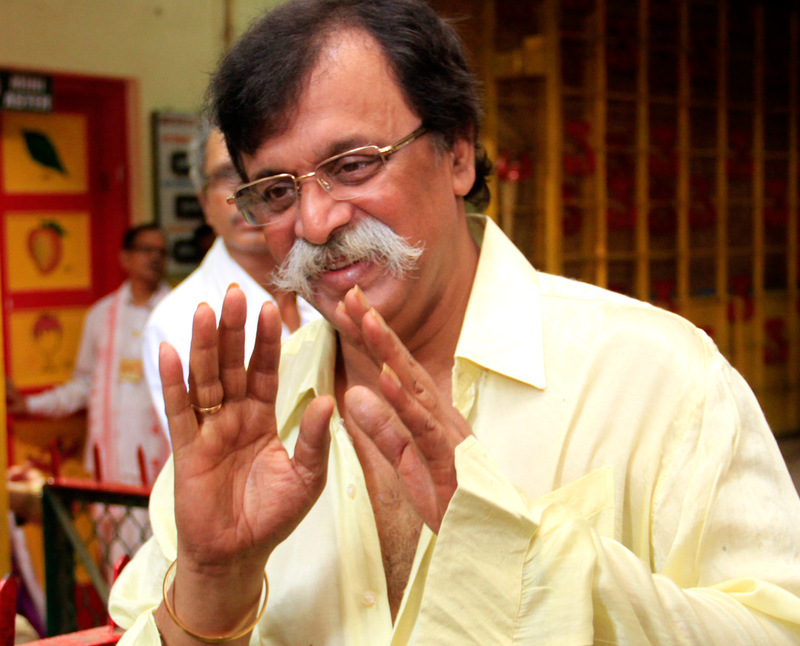 It talks about Aniruddha’s principles, his Thursday discourses, and experiences of devotees. It also has a gallery of images, videos, and wallpapers. 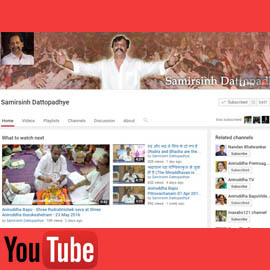 The official blog of Samirsinh Dattopadhye on ‘life science’ laid by Sadguru Aniruddha Bapu. 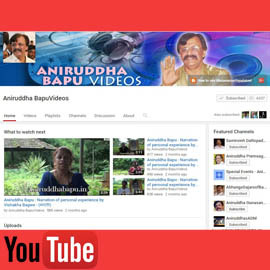 It also covers Sadguru Bapu’s view on various topics and posts on world politics, socio-economic issues, cinema, and sports. 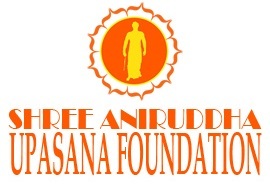 Official website of Shree Aniruddha Upasana Foundation. It talks about Devotional Services, 13 Points Programme, annual events, exclusive events and Ramrajya initiatives of the Foundation. 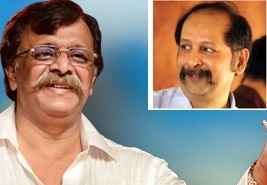 It also mentions Aniruddha’s five gurus, his Thursday discourses, his mission and his writings. 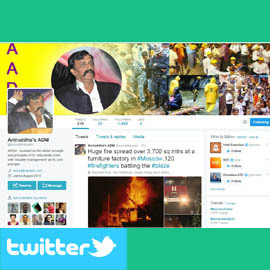 Official website of Aniruddha’s Academy of Disaster Management. 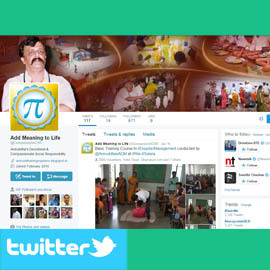 It talks about AADM’s mission, different trainings and workshops conducted, various educational and environmental projects. Also it gives latest updates on disasters happening all over the world. It also has a gallery of photos and videos. 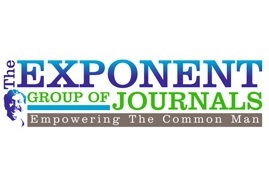 Website of the ‘Exponent Group of Journals’ which publishes free journals covering following topics – Information Technology, Electronics, Shares & Stock Market, Health & Health Services Information, Professional Medicine, Chartered Accountancy, MBA, and General Engineering. Readers can stay updated about the key developments, latest happenings in these specific fields to empower themselves. Newscast Pratyaksha is a unique daily news website that specifically focuses on analysis and reports of various international geopolitical events and happenings across the continents and regions of Indian Subcontinent, Asia Pacific, Middle East, North America, Latin America, Europe, Africa, Australasia and Central Asia. 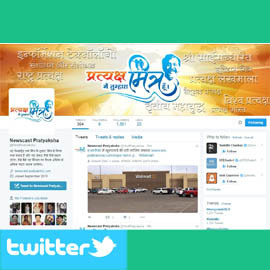 It operates in two languages viz., English and Hindi. Newscast Pratyaksha gives news published in Pratyaksha Daily (Marathi newspaper). 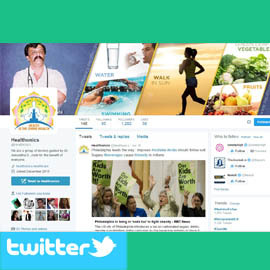 This website is based on a special lecture on ‘Self-Health’ given by Dr. Aniruddha Dhairyadhar Joshi – MD (Med) on 13th December 2014. It provides updates on health-related information, tips for a good health and useful tools like BMI calculator. 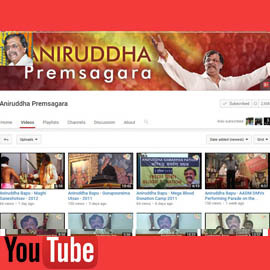 This is a website used to live stream the events like Shree Harigurugram Satsang, Sunday English Upasana, etc. At ‘Kalpataru Park’ Apartment, Kalanagar, Sangli from 1st May 2017 to 7th May 2017. At Om Vajireshwar Gajanan Society Hall, Borivali West, Mumbai from 15th May 2017 to 21st May 2017. At AADM Head Office, Dadar from 22nd May 2017 to 28th May 2017. 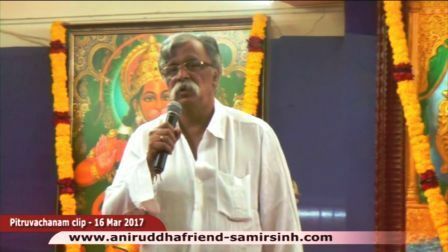 At Shree Hari Guru Gram, Bandra (E) from 29th May 2017 to 4th June 2017. 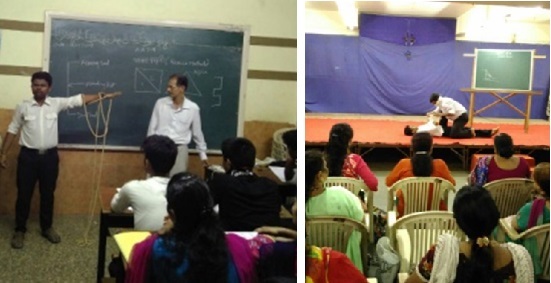 Aniruddha’s Academy of Disaster Management conducted a Corporate course at the request from Auto riders International Ltd., This course was conducted at Chatrabhuj Narsee Memorial School (ICSE ), Dadabhai Road, Vile Parle West, Mumbai 400058 on 26th and 27th May 2017. 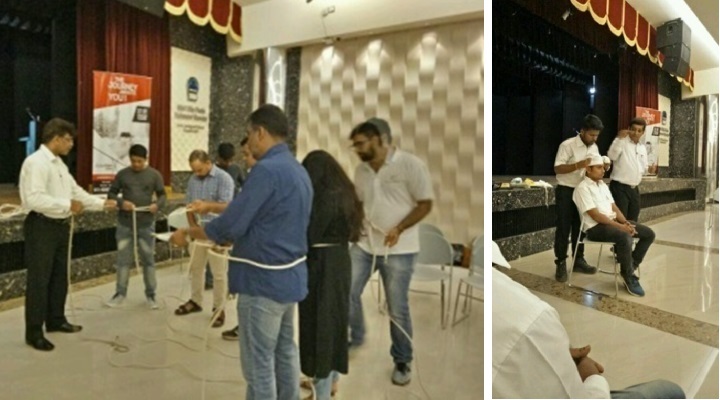 36 staff members of Auto riders International Ltd. participated and completed the course successfully. 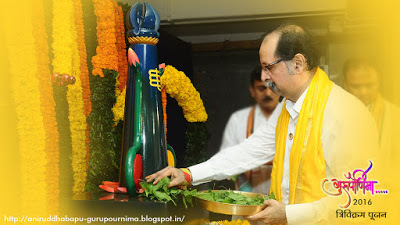 Sadguru is the guide, the friend who loves selflessly; who is the source of strength, of joy; who wants to see us all happy, who feels our pain and provides relief. He does all of this out of our of love and concern. He is the one who turns darkness in our lives into the light. He is the one who equips us to face and withstand difficult times. This he does without expecting or accepting anything from us. 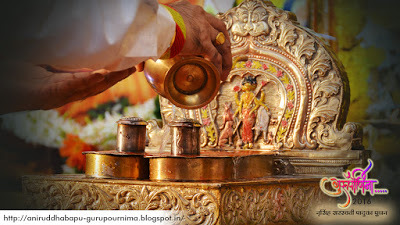 And so Gurupournima is a special day for all the devotees. It is their day to express their gratitude and love for their Sadguru who is all of the above and yet so much more than words can express. Heartiest congratulations to Hrutujaveera Oka, daughter of Aniruddhasinh Oka for securing 2nd Prize in International Olympiad Exams.